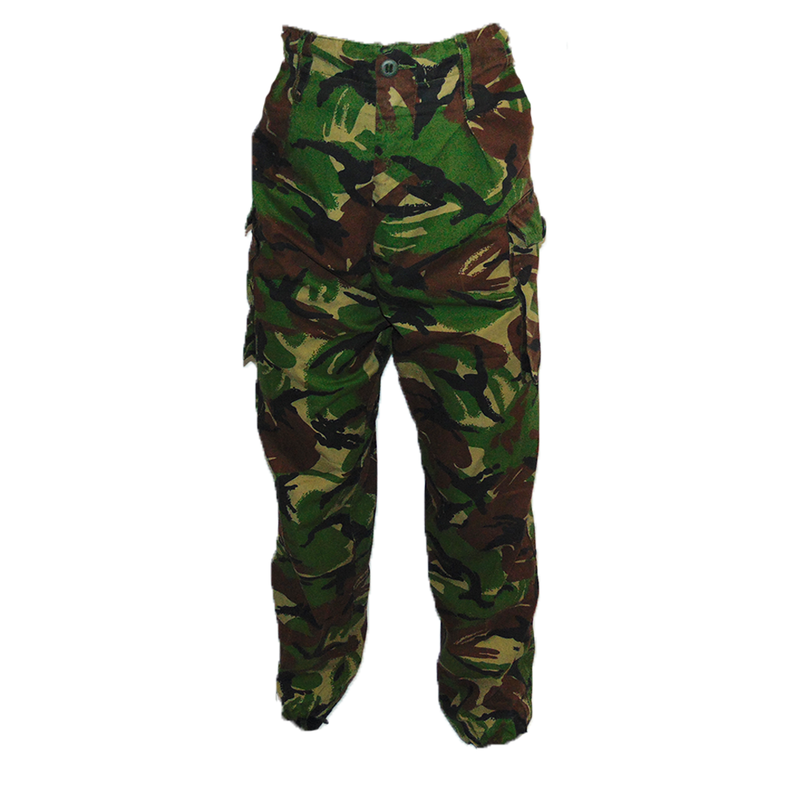 The classic British Army Disruptive Material Pattern (DPM), the go-to" field pant for "Fudds" and "Tacticool" operators alike. First drawn up in the early 1960s with heavy influences from the earlier British Denison patterns, the four colour pattern was a standardization of the previously hand drawn pattern. It works exceptionally well in the bush, and saw a service life of almost five decades. 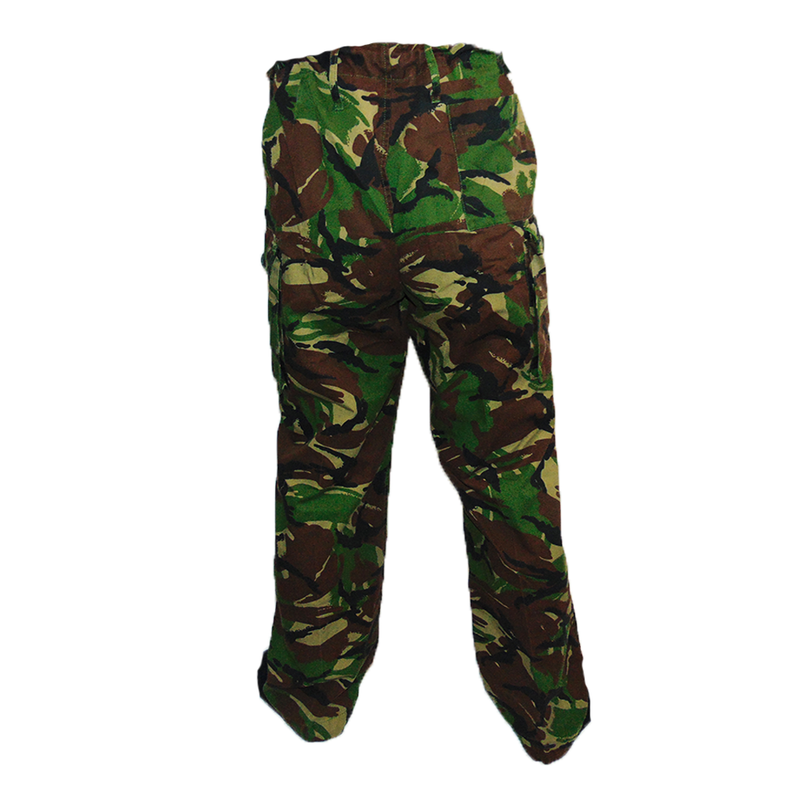 These specific Soldier 95 variation pants are designed with 2 hand pockets, 2 cargo pockets, 2 arse pockets, ankle draw strings, zippered fly and a waist drawstring, allowing some larger waist sizes to shrink down quite a bit. That final feature makes it particular good for sizing, as larger waist sizes can easily be cinched down, and longer inseams can also be "negotiated" with the ankle draw string. These outstanding pants proved to be quite effective in temperate environments. As a testament to the effectiveness of this pattern, it continues to be used to this day around the world in different variations. Don't get caught with your knickers in a lace! 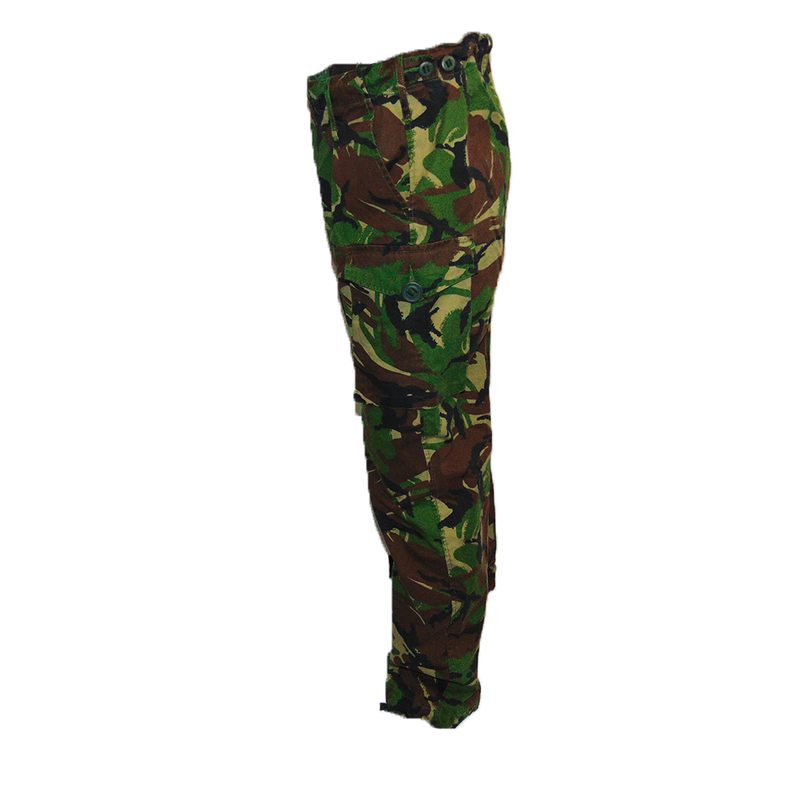 These are the "gucchi-est" possible British Army Field Pants in the operationally proven British DPM.